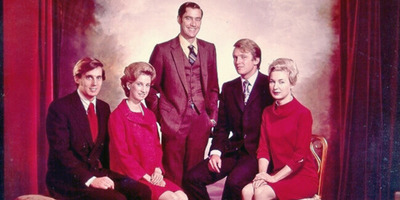 Trump CampaignFred and Mary Anne Trump’s children as adults, from left: Robert Trump, Elizabeth Trump Grau, Fred Trump Jr., Donald Trump, and Maryanne Trump Barry. Fred and Mary Anne Trump had five children. President Donald Trump is the second youngest. His older sister, Maryanne Trump Barry, just retired as a federal judge. 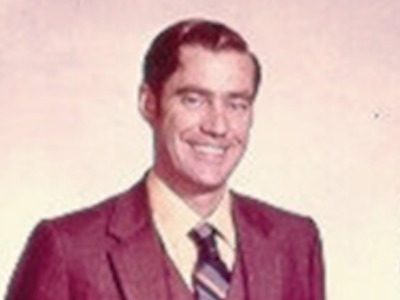 Fred Trump Jr., the president’s older brother, died in 1981 at the age of 43 from complications with alcoholism. Robert Trump and Elizabeth Trump Grau are both retired business executives. He was in real estate and she was in banking. While President Donald Trump’s children play an integral role in the family business and his administration, he doesn’t much talk about his siblings. Three are alive today except his older brother, Fred Trump Jr., who died in 1981. In October, The New York Times published a major report finding that the president received more than $US400 million from his father over the years and avoided paying taxes on much of that money in sometimes-dubious ways. Robert Trump, the president’s younger brother who previously worked at the Trump Organisation, featured prominently in the story. Here’s a primer on the Trump siblings. Donald Trump is the second-youngest of five children. 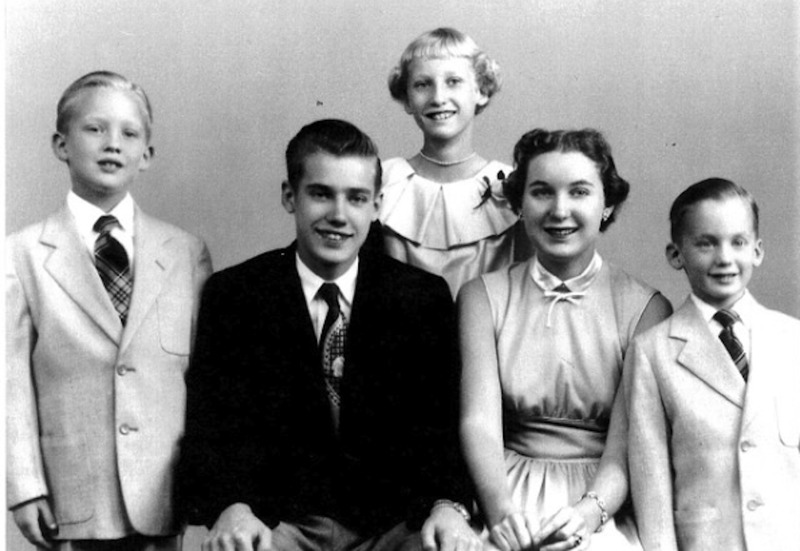 Instagram/Donald TrumpDonald Trump as a boy on the far left with, from left, Fred Trump Jr., Elizabeth Trump Grau, Maryanne Trump Barry, and Robert Trump. The oldest of Fred and Mary Anne Trump’s children is 82-year-old Maryanne Trump Barry, who retired as a federal judge in April. Her end of tenure also concludes an investigation into whether she avoided paying taxes with her siblings as The New York Times reported. In a 2002 interview with New York magazine, Maryanne said she “knew better even as a child than to compete with Donald,” who was said to be their father’s favourite. Instead, the heiress went into law, getting her J.D. from Hofstra and working in the US attorney’s office in New Jersey in the 1970s. A Republican like her brother, President Ronald Reagan nominated Barry to become a federal judge in 1983. She became widely respected, and President Bill Clinton elevated her to the Third Circuit Court of Appeals in 1999. Trump once boasted that his sister was “one notch below the Supreme Court.” She stepped away from active work in February 2017. Barry was married to John J. Barry, an attorney who counted his brother-in-law as one of his clients. He died of cancer in 2000. She has one child from a previous marriage to David Desmond. Lucien Capehart/Getty ImagesElizabeth Trump Grau and nephew Donald Trump Jr. attend the Andrea Bocelli concert at The Mar-a-Lago Club on February 28, 2010 in Palm Beach, Florida. 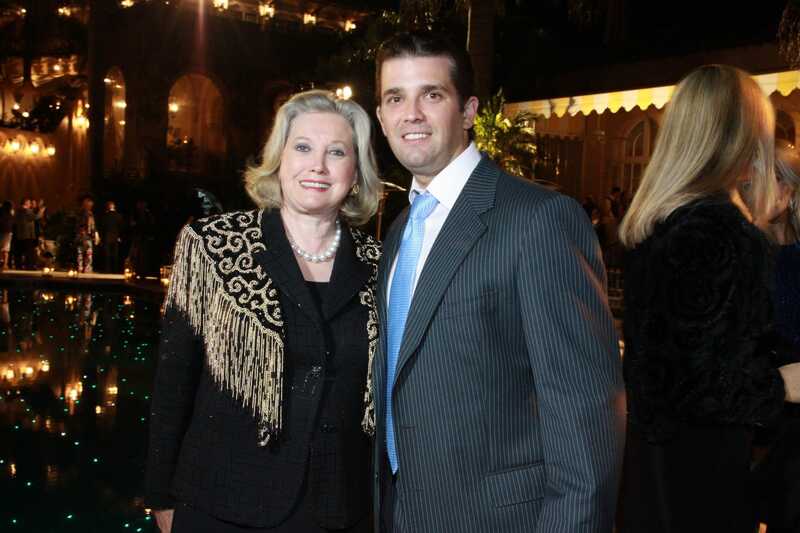 Not much is known about Trump’s closest sister in age, Elizabeth Trump Grau, 77. Like Trump, Elizabeth attended the private Kew-Forest School in Queens. For college, she attended Southern Virginia University in Buena Vista, Virginia (it was known as Southern Seminary College at the time). She stayed out of the family business, instead going to work at Chase Manhattan Bank. Some reports say she was an executive there, while others say she was an administrativeassistant. In 1989, she married the television and movie producer James Grau. The couple have since retired to Florida. 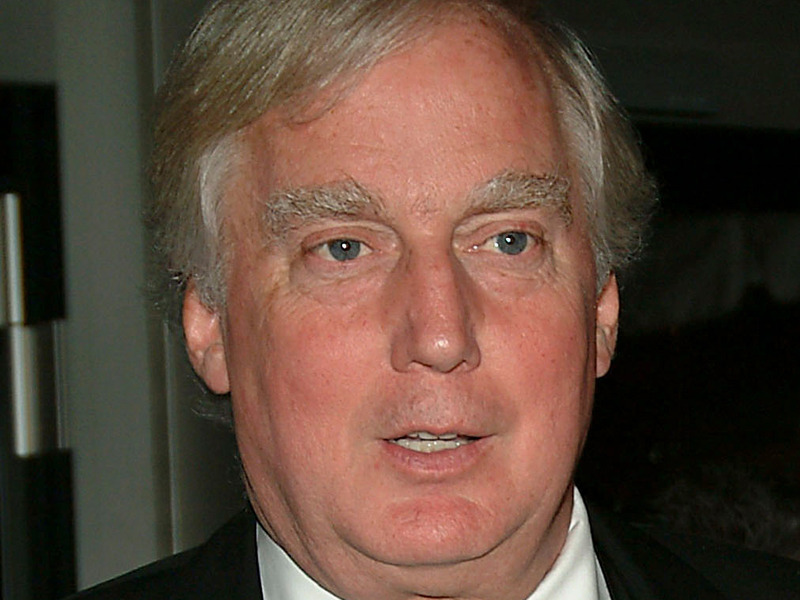 Desiree Navarro/GettyRobert Trump at a performance by the American Ballet Theatre in New York City in 2005. Trump’s younger brother, Robert, 71, followed him into the family business, rising to become a top executive at the Trump Organisation. These days, he’s retired and living in Millbrook, New York, in the Hudson Valley. Robert was married to the socialite Blaine Trump for 25 years before the two filed for divorce in October 2007. Since then, he has mostly retreated from the public spotlight. At the time of the divorce, New York Magazine reported that Robert had been living with a mistress, his former secretary Ann Marie Pallan, for the previous two years. It appears that he remains on good terms with his ex-wife, who attended Trump’s inauguration in January 2017, according to Vogue.